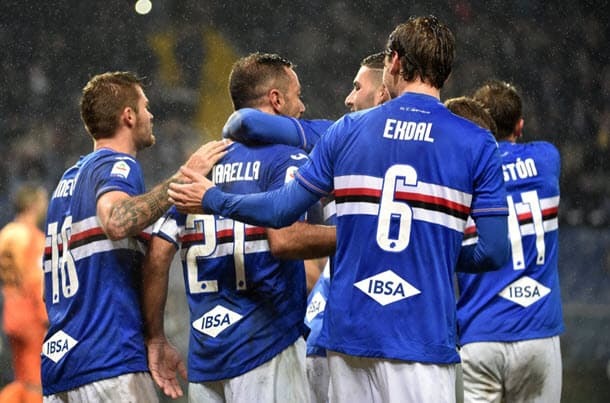 Sampdoria smashed Frosinone 5-0 in Italian Serie A action five months ago and one rates Samp as the best bets of the 23rd round of championship matches when they welcome the relegation favourites to their home on Sunday. Beaten just twice by lower ranked teams in Italian Serie A this season, Sampdoria put Udinese to the sword 4-0 two games ago before being outclassed in its 0-3 loss at second-placed Napoli. Sampdoria dominated September’s reverse Italian Serie A fixture against Frosinone from the outset, hitting the lead inside the first 10 minutes and adding goals at regular intervals following the half-time break. Direct Italian Serie A form lines do not get much more compelling that the one referenced above and there is a body of evidence Sampdoria is streets ahead of Frosinone ahead of their weekend clash in Genoa. According to one’s Italian Serie A collateral form analysis, Sampdoria enjoys a 16-1-2 lead over Frosinone, with progressive counts including 3-0-0, 8-1-0 and 11-1-1. Frosinone has snagged two Italian Serie A away win – 3-0 at SPAL and 4-0 at Bologna – but the Canaries have been beaten to nil in each of their six road league matches versus sides in the top seven and they do not run into Juventus until later this month. Nicola Murru (suspension) and Gianluca Caprari (broken leg) will not feature for Sampdoria on Sunday but Frosinone’s injury woes are considerably greater as the Canaries fight to stay in Italian Serie A. The odds are stacked against Frosinone at 11/20 1.55 -182 0.55 -1.82 0.55 with Betway, though, with as many as nine of its players potential weekend absentees. Get the best odds in the Italian Serie A with our selected bookmakers below. 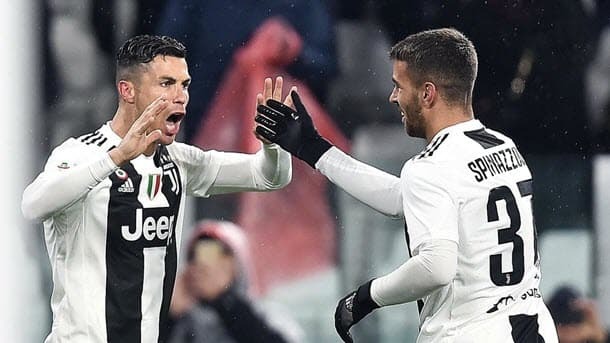 Juventus is at backable odds to maintain its Italian Serie A unbeaten record with an away triumph over Sassuolo on Sunday at 57/100 1.57 -175 0.57 -1.75 0.57 with Bet365. September’s reverse Italian Serie A fixture went the way of Juventus thanks to two Cristiano Ronaldo goals as the Old Lady posted a home win that was more comfortable than 2-1 suggests. Juventus boasts an 11-5-3 Italian Serie A collateral form edge over Sassuolo but one’s overall figure flatters the Black and Greens because they have not outperformed the Old Lady against of the division’s top 12 teams. All collateral form lines have merit but comparative results versus good sides are worth more than those versus bad sides. Sassuolo is 1-5-6 in its 12 Italian Serie A games against teams ranked in the leading dozen, whereas Juventus is 12-1-0 in its 13 championship matches versus the same pool of sides so back the Old Lady on their travels. 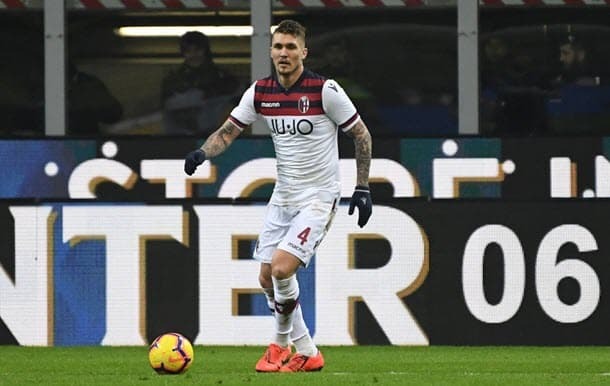 One could make a case for Napoli completing an Italian Serie A double over Fiorentina but, for one’s third Round 23 pick, one is going with Bologna and Genoa to draw on Sunday at 9/4 3.25 +225 2.25 2.25 -0.44 with 188Bet. According to one’s Italian Serie A collateral form analysis, Bologna and Genoa are level on 8-3-8 and September’s reverse fixture produced only one goal and it occurred in the 69th minute for the home team. Feel free to us know what you think of our tips. Click the button below and Share on Facebook or Twitter and tell us if you agree or disagree with our selections! Carl is the original ‘Special One’ and uses his statistical knowledge of football to gain the upper hand over the bookies on a weekly basis. A student of odds and probabilities, ‘Wrighty’ pinpoints the value bets in the top leagues across Europe. A big signing for the SBO.net sports team, Carl brings his vast experience of playing the odds and beating the bookies to a weekly column highlighting the very best football bets.